GitHub - Csi18nAlistairMann/eztfl-html5: I'm at x,y travelling in direction z. What London bus stops will take me where? I'm at x,y travelling in direction z. 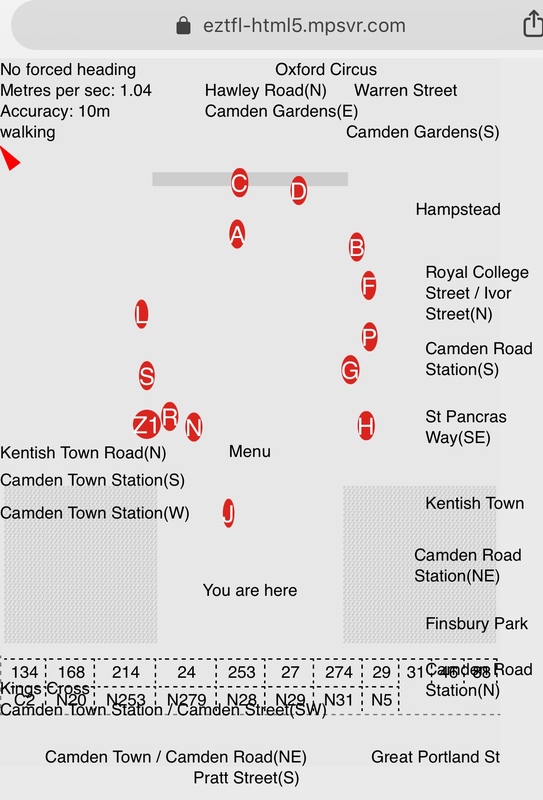 What London bus stops will take me where? Want to be notified of new releases in Csi18nAlistairMann/eztfl-html5? Have a look at https://eztfl-html5.mpsvr.com/elite-inspiration.jpg. 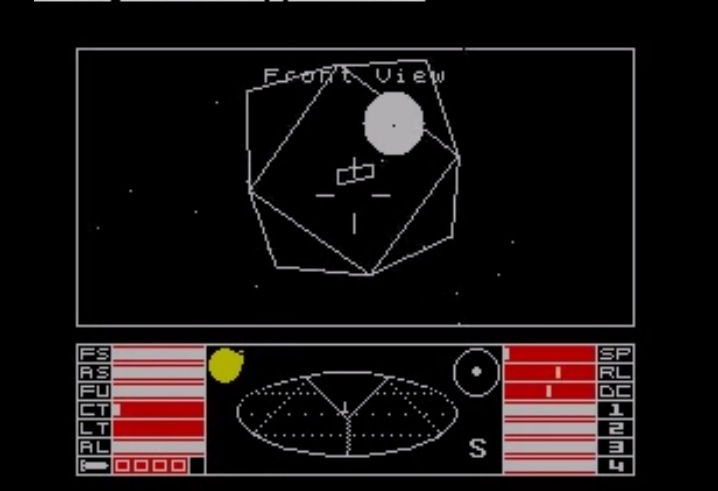 This cap is a game from my youth, Braben and Bell's Elite - https://en.wikipedia.org/wiki/Elite_(video_game). The perspective shifted circle at the bottom perfectly describes in 2 dimensions what's happening in 3 dimensions, something that stayed with me as a games programmer. Following on from my original bus stop project at https://github.com/Csi18nAlistairMann/eztfl, I wondered: could I use the same technique to describe bus stops that are around me, and that I'm yet to get to, not just that I'm stood at? If so, I could also determine which of several stops I could go to seeing what buses would turn up after the time it took me to get there. And could I make it update in realtime, just like Elite? This mid 2017 project was the result. Have a look at The Egg https://eztfl-html5.mpsvr.com/egg.png. 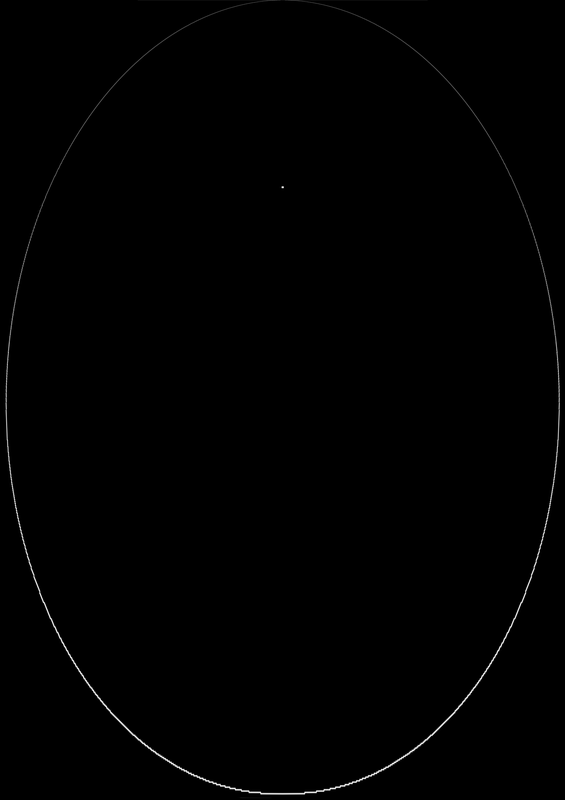 This perspective shifts a circle into the format for a smart phone, with the white dot representing roughly where the center is, some half a mile in front of you. The idea was for the red circles of bus stops ("R" and "S" in this photo: https://trueform.co.uk/app/uploads/2013/11/bus-stop-1.jpg) near the visitor to appear in the egg, and move left and right as the visitor turns round, and move nearer and farther as the visitor walks. (Also see: https://github.com/Csi18nAlistairMann/eztfl-html5/blob/master/docs/2017may04-swirling-screen.gif) Around the edges of the display would appear the destinations that could be obtained from the bus stops, and they too would move as the visitor moves. Originally I had intended that the bus numbers themselves would appear between the two, but it became more obvious to show them underneath. In addition, I have a accelerometry stats at the top left, a scale bar (the faster you move, the tighter the bar), manual rotation arrows, and a menu. Clicking on the bus stop will show the countdown schedule for it. Clicking on a bus number highlights the bus stops it visits. Clicking on the destination highlights bus stops that have it as a destination.